Heart Congress 2019 : Vydya Health - Find Providers, Products. 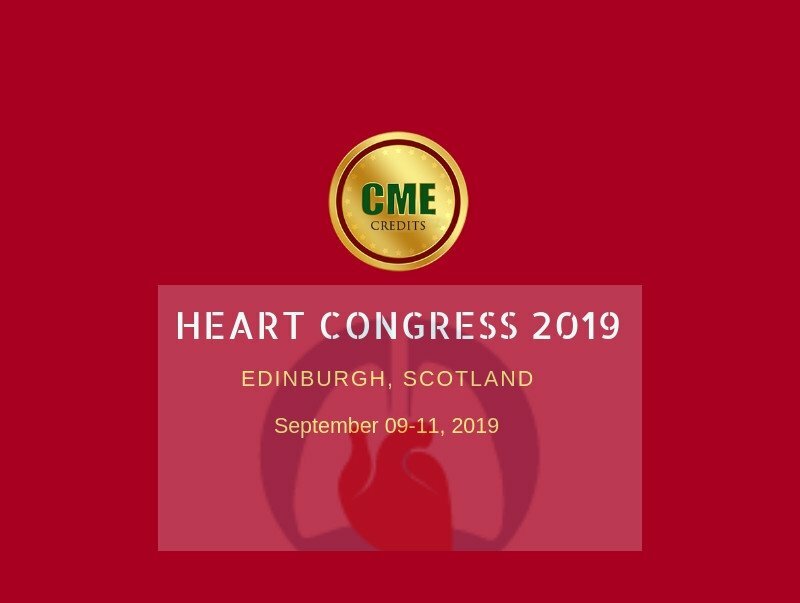 Heart Congress 2019, a CME accredited Conference highlights the theme “Cardiology in the Changing Health Care Landscape” during September 09- 11,2019 in Edinburgh, Scotland. Heart Congress 2019 is an event intended to provide an exclusive platform for new researchers, scholars, students and educators to show case their novel ideas and discuss the most recent innovations, trends and key concerns adopted in the field of Cardiology, Cardiovascular Diseases, Cardiac Electrophysiology, Clinical Cardiology, Vascular Heart Diseases, Interventional Cardiology, Echocardiography, Cardiovascular Surgeries, Pediatric Cardiology, Cardiac Nursing, Women Heart Health, Hypertension, Heart Regeneration, Cardiovascular Diabetology, Obesity & Stroke, Cardiac Device Therapy, Cardiology Case Reports and Big Data in Health Care. The Three days of educational program will include keynote presentations, oral presentations, and poster presenters on the advanced techniques as well as papers in all the fields of Cardiology in health care. Heart Congress 2019 Conference aims to explore advances in Cardiology and Health Care, management and education in relation to health disparities as well as a breadth of other topics. This is a Continuing Medical Education (CME) accredited conference.